Beam Length: 20’The Huntsman is a spelljammer built in a fashion similar to the scorpion ships favored by ancient orcs. 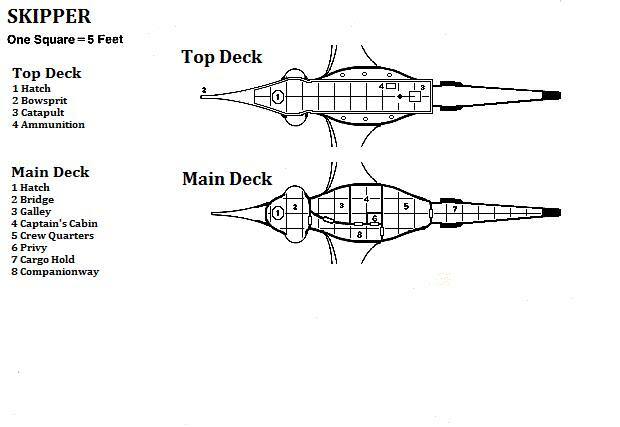 The overall layout is unchanged, although it has many enchantments that make it unique from other scorpion ships. It was probably built twelve hundred years ago on a backwater orc world or moon, and saw action during the First Unhuman Wars. It was defeated in battle sometime after the Battle of Kule and left a drifting wreck until it was claimed five years ago by its current owner, the Dizantar Xinnix. Happy New Year, me hearties! I hope ye can still walk after all the carousing! If yer not too drunk or hung over to read, perhaps ye can skim over these dispatches and take note of the news in the Known Spheres. I’m pleased to say that our ezine is now rolling along with some of its own momentum as more and more of you contribute articles and ideas; so I thank you for your support! 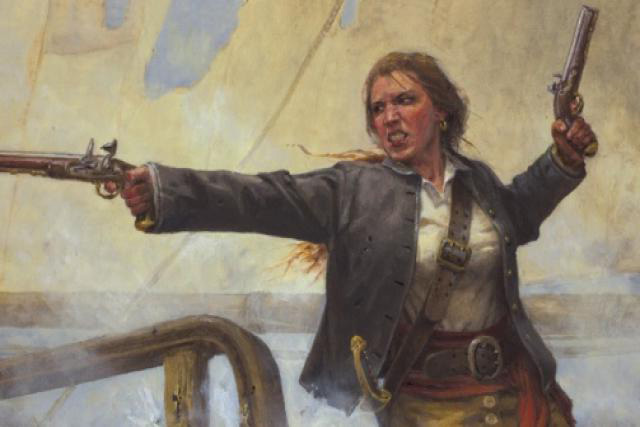 This month we seemed to end up with a lot of articles on ships, spelljamming, and navigation. If you would still like to contribute yours, see our Submission Guidelines. A Shout-Out to THAC0’s Hammer Podcast! We would like to thank the good folks at acclaimed 2nd edition podcast THAC0’s Hammer for having our very-own AuldDragon on the show and talking about Spelljammer and about the Wildspace Fanzine! The link above will take you to their Twitter account and you can listen to the episode HERE, in which the guys (eventually; 39 minutes in) chat about the Spelljammer setting, the boxed set, the War Captain’s Companion, the Astromundi Cluster set, and review the Goblin’s Return module. We’ll continue to share posts from Deryn’s vastly creative blog for our French-speaking (and determined die-hard translators) to enjoy. Our very own Knightfall has been a busy man. He’s started up a new blog about his world Almagra, and another new one about his homebrewed Spelljammer variant Kulan World Journal, and he continues his work on his steampunk Spelljammer setting at Spelljammer Gone Wild. We’ll keep you up to date on the latest! Silverblade’s character profiles continue; along with some new art! We will continue to share some of the great new work that’s coming out of the Cartographer’s Guild, including some great space maps and star charts! Many of the classic Spelljammer books are being released on PDF; also, there are some blasts from the past that we will be sharing. The Toy Soldier Saga is back online and I’ve been working on worldbuilding; maps, characters, and such. I’ll be sharing some of that with you. In the interests of the theme, we’ll continue to re-release some stuff out of the vaults of the Beyond the Moons website, much of it by Paul “GM” Westermeyer and Adam “Night Druid” Miller. Join us in our voyage through the stars!